Air pollution and blue light radiation emitted from our computers and phones degrade skin barrier function and cause skin and health disorders. 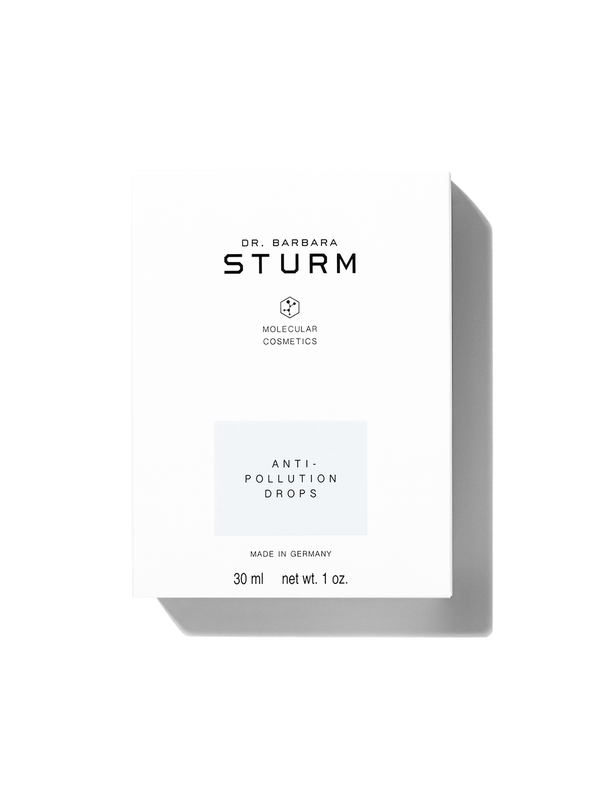 Dr. Barbara Sturm’s latest skin solution, Anti-Pollution Drops, protect the skin with a barrier against environmental stressors, promotes the skin’s natural barrier function, and combats the oxidation and inflammation caused by pollutants. 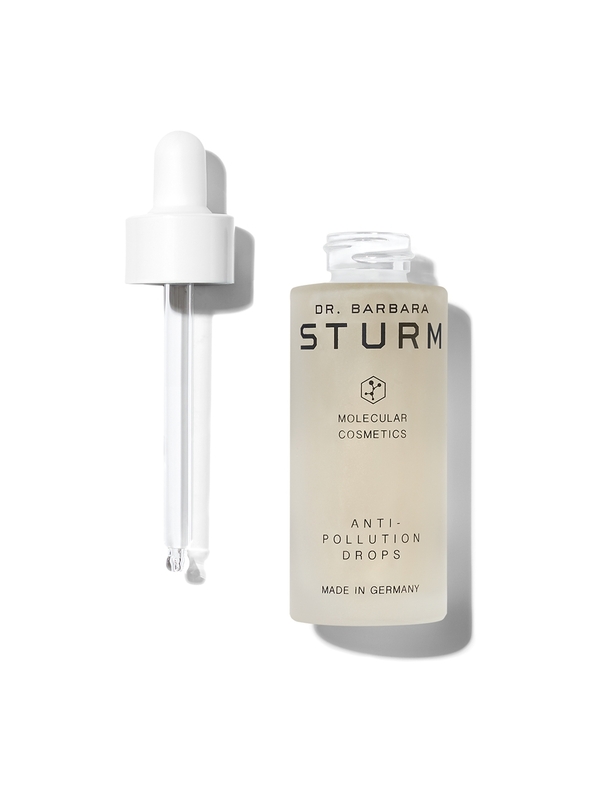 This innovative, antioxidant-based serum contains a special protective complex with marine microbe extracts derived from microorganisms from French Polynesia that strengthens the skin’s defenses, neutralizes airborne heavy metals, and protects against pollution-caused inflammation, dullness, uneven skin tone, and premature aging. Cocoa seed extract also helps the skin combat signs of digital aging such as dryness, oxidation and inflammation. Disodium EDTA deactivates heavy metal ions. 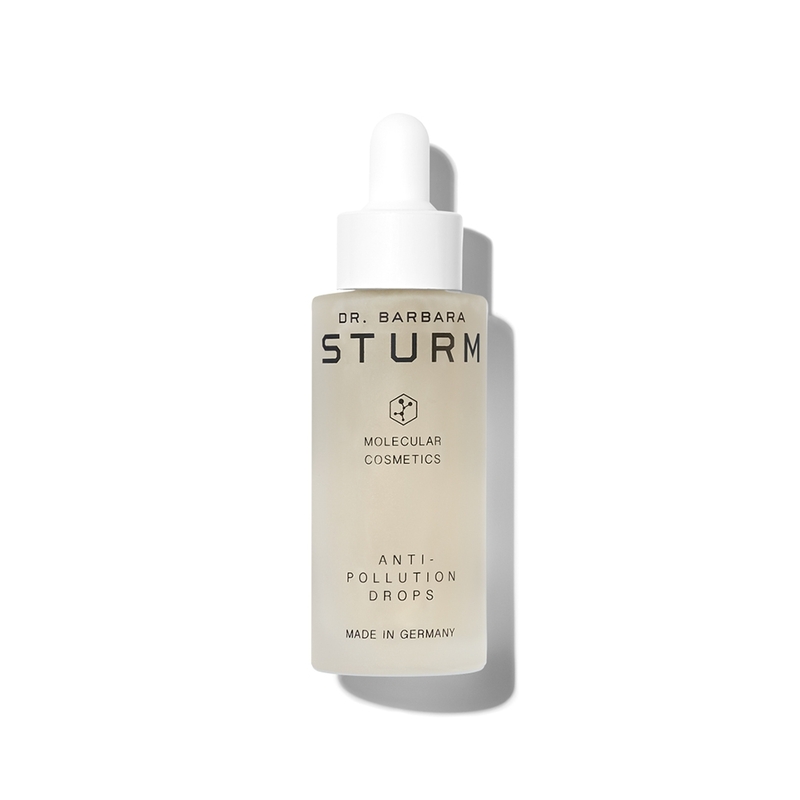 Daily use of the powerful Anti-Pollution Drops will strengthen skin barrier function and protect the skin against pollution damage. 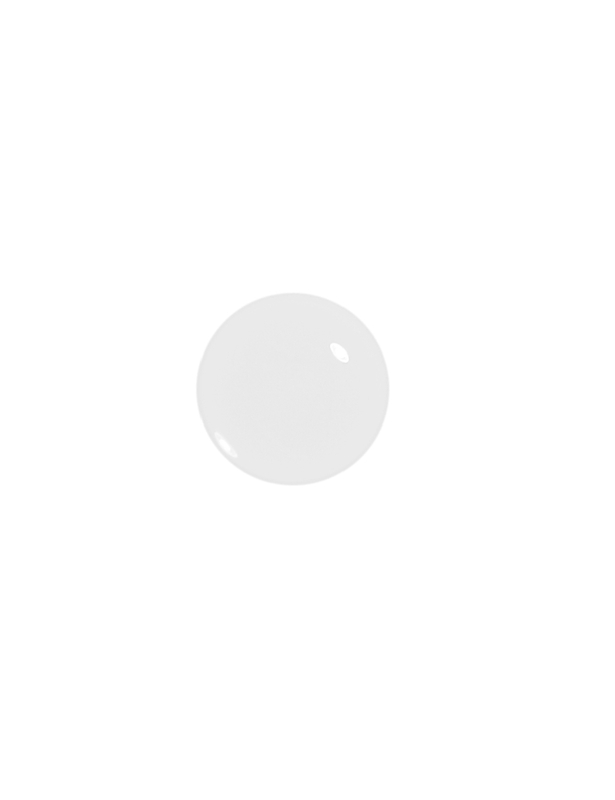 Dispense a full pipette of Anti-Pollution Drops in the palm of your hand and apply to the face, eye, and neck area using a gentle patting motion. Use after cleansing the skin and prior to applying the Face Cream.